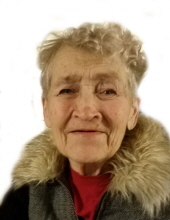 Barbara S. Burreson, 81, of Evansdale, died Thursday, Jan. 17, at home. She was born December 31, 1937 in Decorah, daughter of Melvin and Mabel Berthina Blekeberg Lien. She married David P. Burreson on August 27, 1957 in Decorah. He preceded her in death. Barbara owned and operated Antique Stores in Decorah, Hopkinton and Marion. Survivors include: a granddaughter, Jessica (Duane) Phillips of Evansdale; a grandson, David Michael Burreson of Evansdale; a daughter-in-law, Sonja Burreson of Evansdale; five great grandchildren, Gabrielle Ann Burreson of Evansdale, Hailie E. Burreson, Jayden M. Burreson, Madi Mae Delahunt and Skyler W. Delahunt, all of Quasqueton; and many nieces and nephews. Preceded in death by: a son, David “Scott” Burreson; a great grandson, David Michael Burreson, Jr.; two sisters, Lorraine Scholl and Ethel Deck; and three brothers, Jerry, Alan and Vernon Lien. Visitation will be from 4 to 7 p.m. Tuesday, Jan. 22, at Hagarty-Waychoff-Grarup Funeral Service on South Street, Waterloo, where there will be a 7 p.m. prayer service. To send flowers or a remembrance gift to the family of Barbara S. Burreson, please visit our Tribute Store. "Email Address" would like to share the life celebration of Barbara S. Burreson. Click on the "link" to go to share a favorite memory or leave a condolence message for the family.